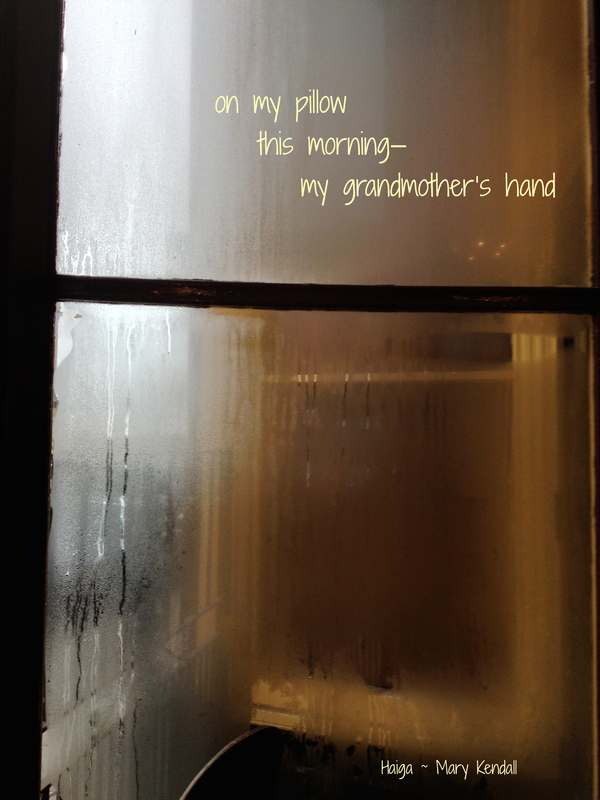 This entry was posted in haiga, haiku, Mary Kendall poetry, poem, poetry and tagged beauty in age, darkness, depression, fear, grandmother, growing older, haiga, haiku, impermanence, love, memory, passing of time, photo in Edinburgh, reality, sadness. Bookmark the permalink. Lovely and moving. I love this one! In the mirror every day â my motherâs face. Indeed, Suzanne. A hard lesson. Wow. Profound. This is one of the best I’ve read. There’s a whole story there. Hopefully it is a story told in this simple haiga. Thank you for your kind words.